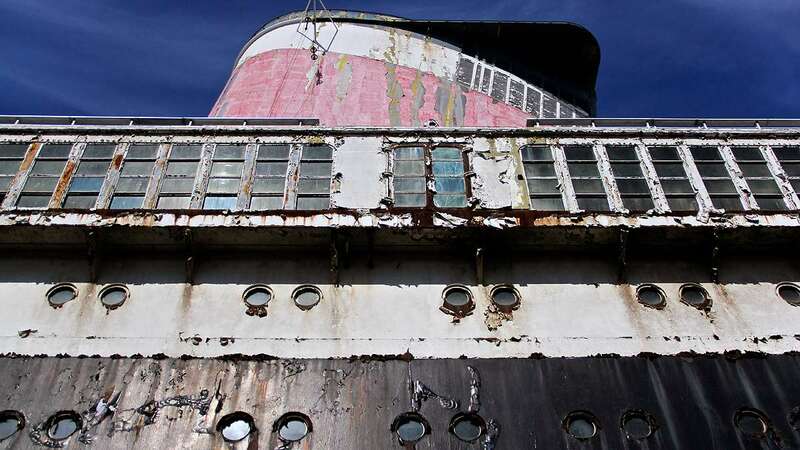 If you have seen underwater footage of the sunken RMS Titanic, and ever daydreamed about what it would be like to walk the deck of that drowned wreckage, a stroll on the SS United States may be as close as you can get. 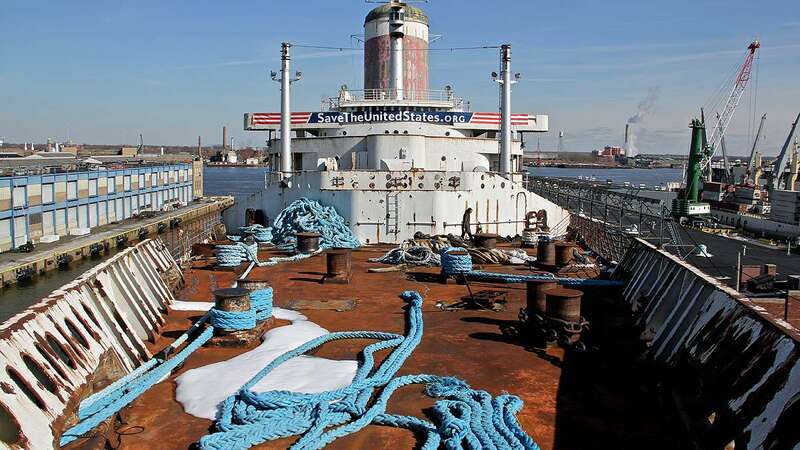 The SS United States — the rusted and dilapidated cruise liner that’s been moored on the Delaware River for 17 years — is not open to the public. The best view available is from several hundred yards away, in the cafeteria of IKEA across Columbus Avenue. 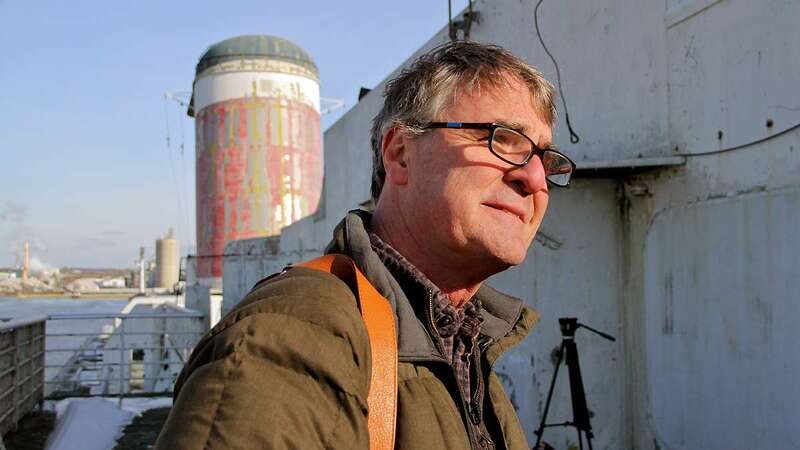 David Macaulay, the author and illustrator of bestselling books about engineering and architecture, is one one of the very few people to have walked the decks of the SS United States at the height of the ship’s glory and at the end of its life. Since 1974, Macaulay has been making complex design and construction understandable to children and, by proxy, their parents. 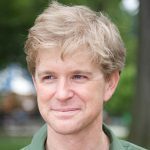 In his previous books, including “Cathedral,” “Pyramid,” and “The Way Things Work,” he draws cross-sections and exploded views of buildings and objects, teasing out perspectives and details impossible to see otherwise. For his next project, he started thinking about the history of invention itself, quickly realizing that topic was more than he could chew. So he settled on shipbuilding. The story he found was his own. 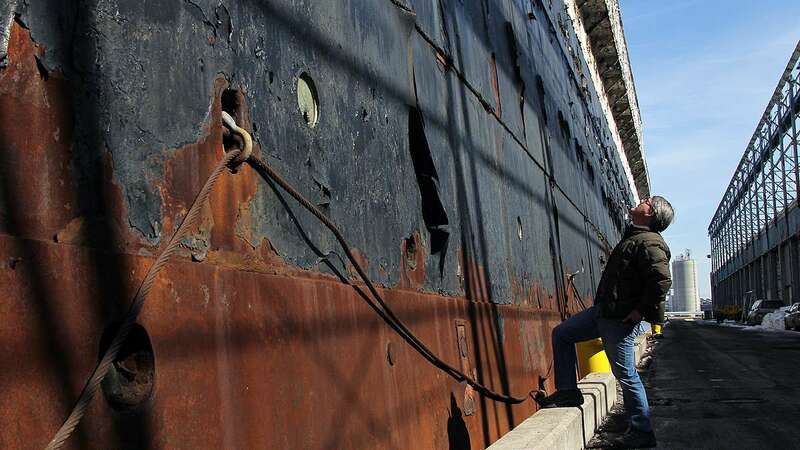 Macaulay sailed on the SS United States in 1957 when his family immigrated to America from England. He was 10 years old. 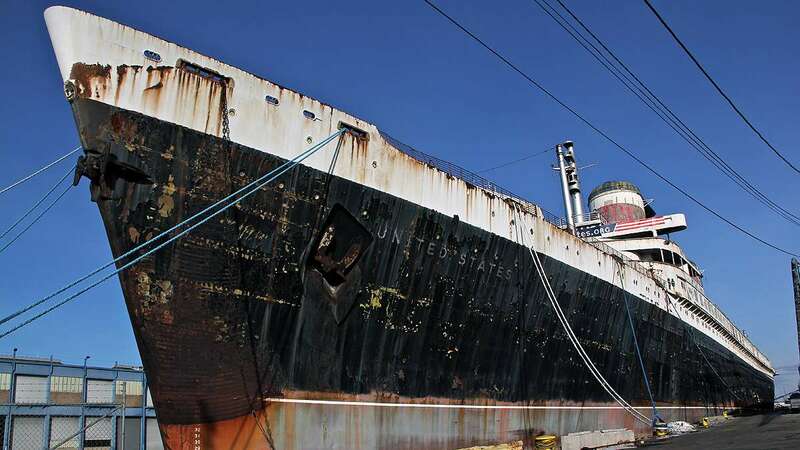 SS United States brought Macaulay to U.S.
Now, the ship is gutted. Everything that could have been ripped out, has been. 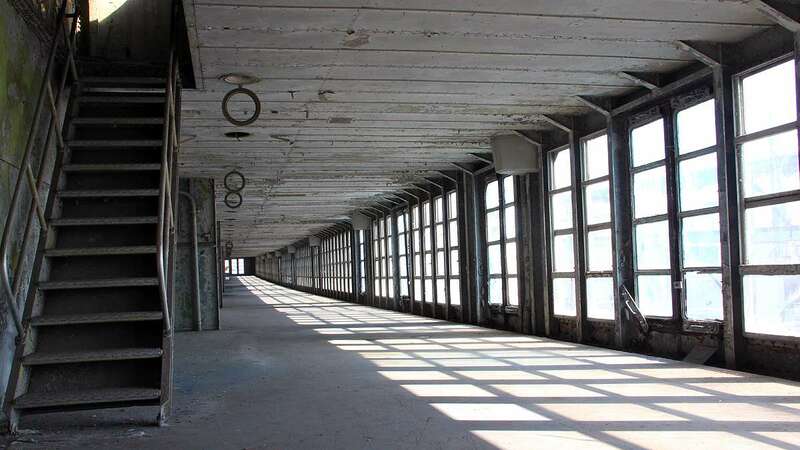 Only the infrastructure holding up steel deck floors remains. Flaking paint and rust cover everything. “This is as lavish as the space got, in terms of luxurious double height,” said Macaulay, standing where Meyer Davis would have presided to conduct his orchestra. 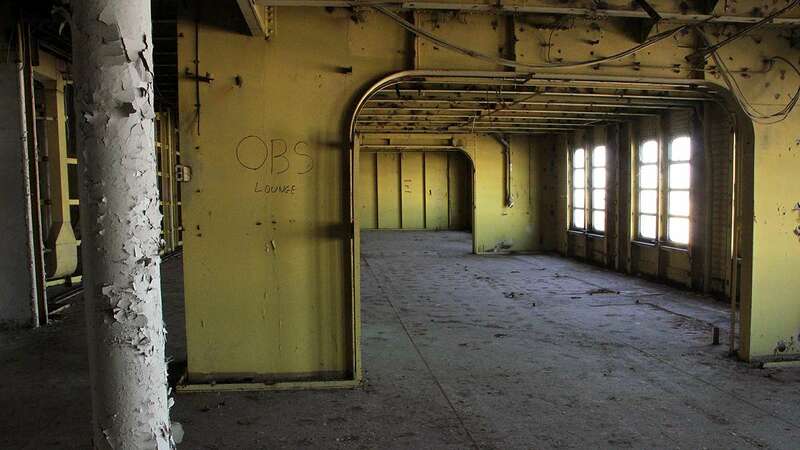 Aside from those double-height ceilings and glassed-in promenades stretching for hundreds of feet, there is little about the interior of the SS United States that looks glamorous. Macaulay has the eye of an engineer, not an interior decorator. 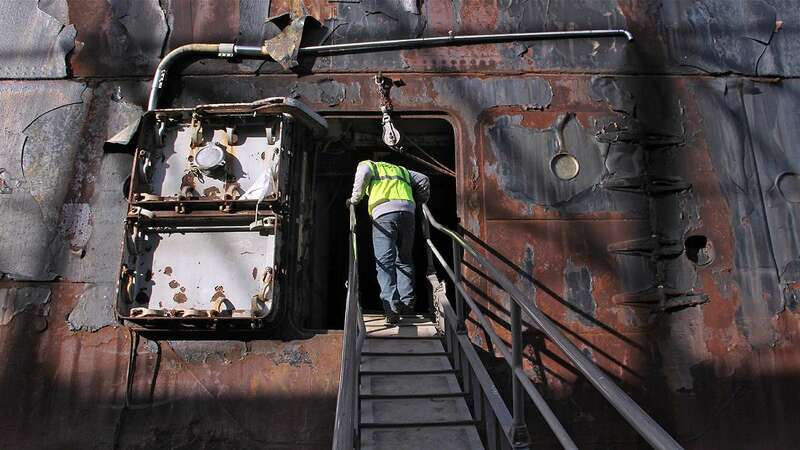 He came to see the exposed steel infrastructure of the lower decks. 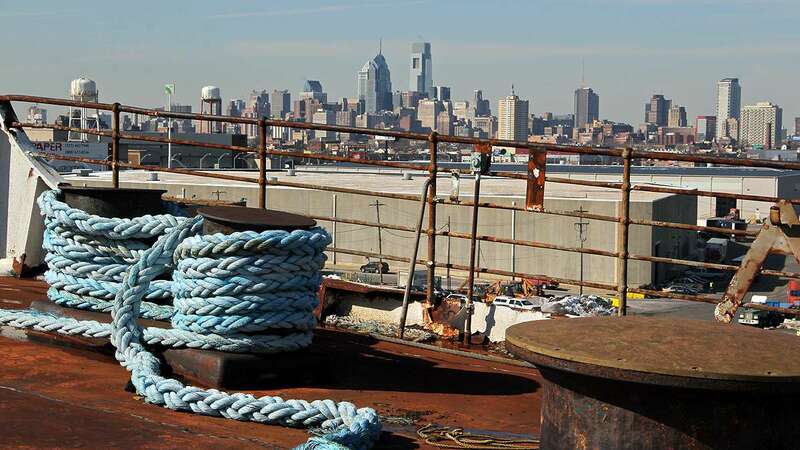 The ship was designed by naval architect William Francis Gibbs, who grew up watching ships being built and launched at the Philadelphia shipyards. He always wanted to make the fastest, strongest ship possible. The SS United States was his opus. He built the hull and lower decks of steel, and the entirety of the upper decks is aluminum. 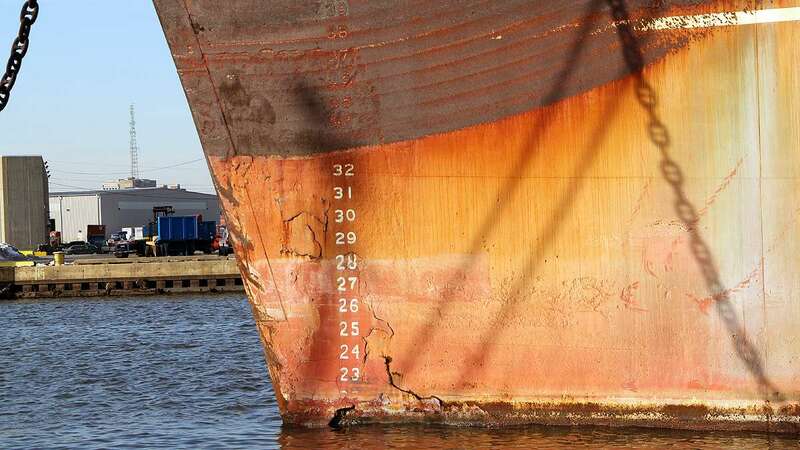 After 40 years of disuse, the bulk of the ship is dripping with rust, but the banisters to the bridge still retain their aluminum shine. The aluminum made the ship lighter, and its powerful engines made it faster. It still holds the record for the quickest crossing of the Atlantic. The aluminum also makes the ship fireproof. Nothing flammable was allowed. The exterior decks were surfaced with clay, not wood. No carpets were allowed to be laid inside. Instead of classic maritime hardwood, all the furniture and fixtures were made from aluminum. Some of those pieces are now on view at the Independence Seaport Museum at Philadelphia’s Penn’s Landing, including art deco clocks and lamps, original deck chairs, and signage, all made from aluminum. 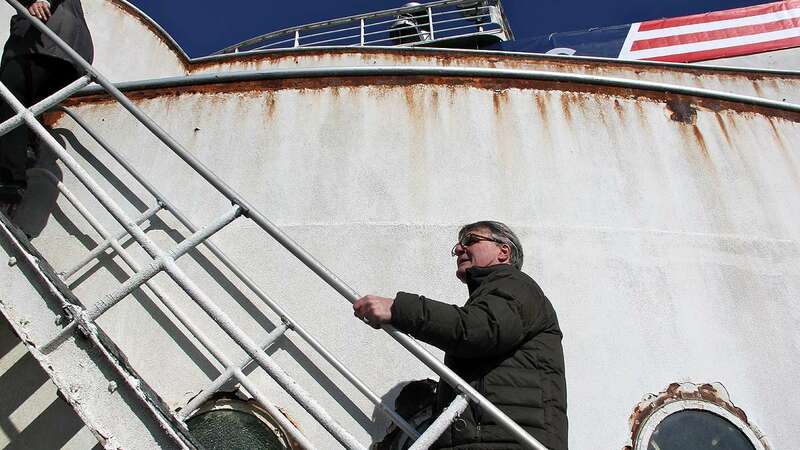 Lewis is a member of the SS United States Conservancy, an organization that literally saved the ship from the scrapyard two years ago. Now that it has the ship, the conservancy needs to figure out what to do with it. It is hunting for a developer and a good idea — maybe a retail and restaurant destination, maybe a museum, maybe a unique housing development. It is also hunting for money; it costs the conservancy about $60,000 a month to dock the behemoth. 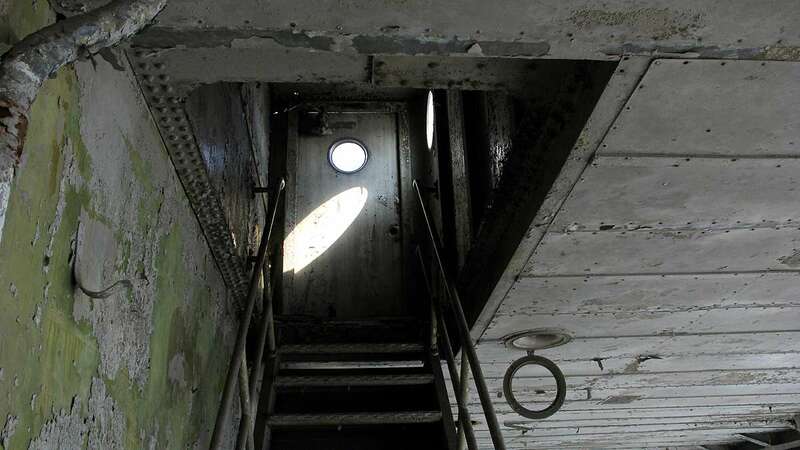 To write and illustrate that book, the 67 year-old Macaulay is doing research by scrambling around the derelict ship like a 10-year-old boy playing hooky from school: climbing around the shafts of the engine room and spelunking the catwalks of the smokestack funnels. He knows exactly where the water-distilling system is, how the turbogenerators produced power for the electric ovens in the galleys, and how the engine’s chilling pipes pushed cold air into all the cabins. He regrets that he did not exhibit this kind of curiosity when he was still a boy. At 10 years old, living on the ship for five days, he was more preoccupied with coming to America than with the ship taking him there. When Macaulay looks at the bones of the ship, he sees generations of inventive engineering coming together into a powerful display of speed and pride. That’s the real story he wants to tell.